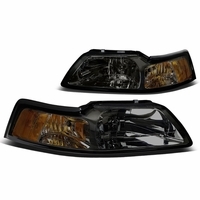 MY 1999-2004 Ford Mustang replacement headlights. 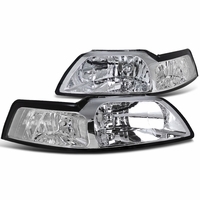 Available in chrome, black, or smoked version. 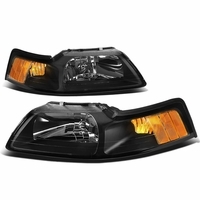 You can also choose from having amber or clear reflector Euro style crystal headlights. 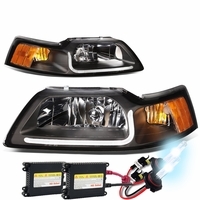 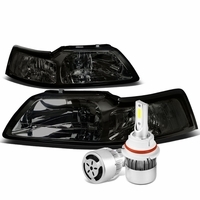 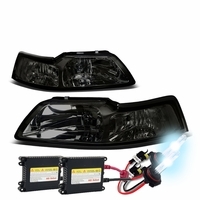 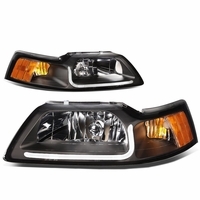 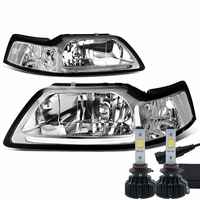 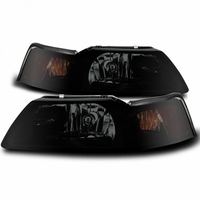 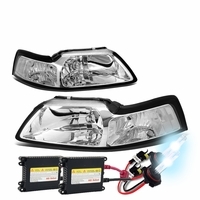 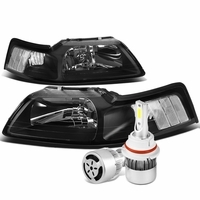 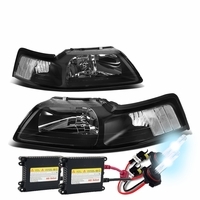 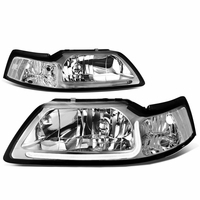 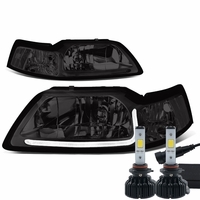 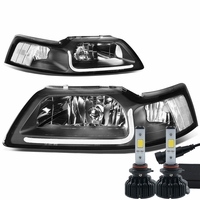 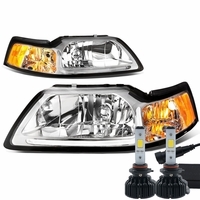 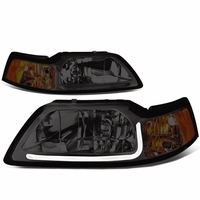 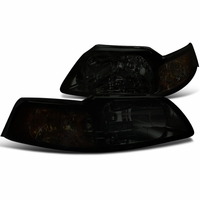 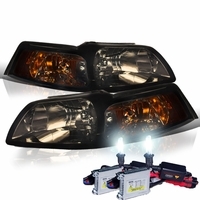 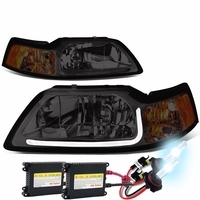 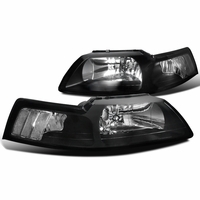 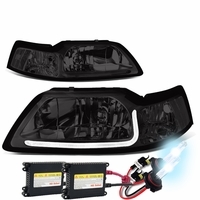 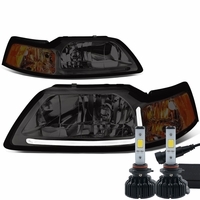 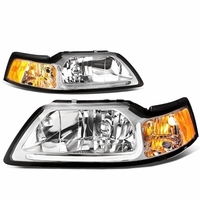 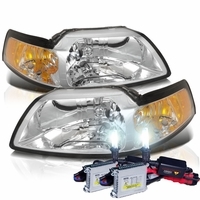 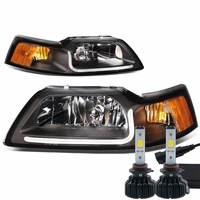 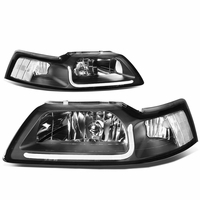 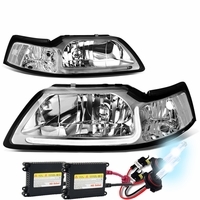 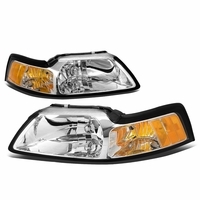 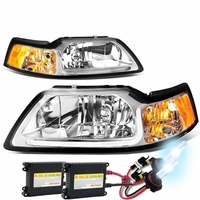 Designed as a direct plug and play replacement unit of the 99-04 Ford Mustang headlights. 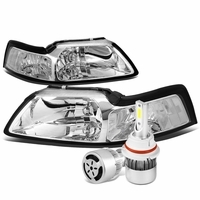 Easy plug and play, uses factory light bulbs. 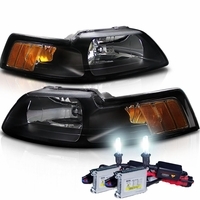 Optional upgrade with 4300K - 12,000K HID System (Low Beam). 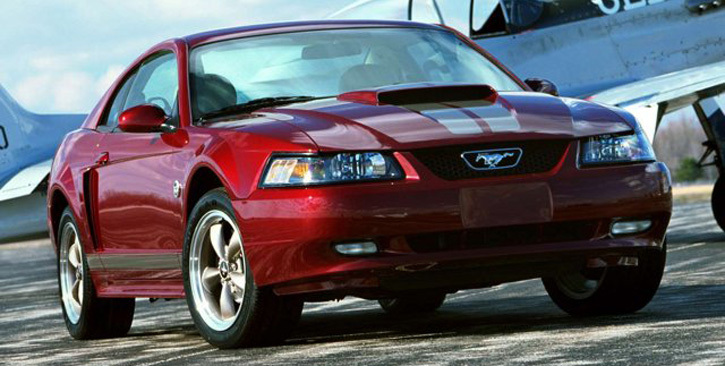 Fitment: 1999-2004 Ford Mustang All Model.